As the 2019 roofing season hits full speed, the long-term problem with finding a legal workforce once again comes into focus. NRCA members are reporting large backlogs of work, and many are seeking more workers to join the trade. NRCA is developing resources we believe will help, but the proverbial silver bullet simply doesn't exist. U.S. demographics are changing, and the solutions require consistent work over a long period of time to put the roofing industry in a better position to appeal to workers. NRCA ProCertification.™ Recognized professional certifications can increase a worker's sense of worth and value. Recently, NRCA launched the first three of multiple certifications for roofing workers. 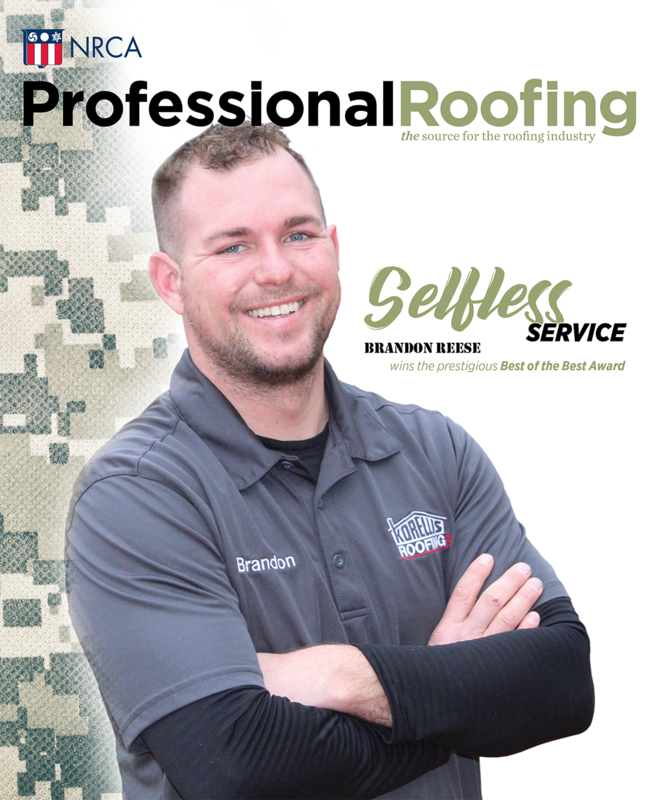 Your workforce now can have third-party authentication of their skills and competency in thermoplastic and asphalt shingle roof systems, as well as earn certifications as roofing foremen. Soon, we will follow up with certifications in EPDM, clay and concrete tile, metal and bituminous roofing. Ultimately, there will be as many as 19 disciplines available for workers to certify their skills. Certifications are good for your company, your workers and consumers, too. As quality assurance goes up, so will customer satisfaction. This means more profitability for your company, an improvement of the industry's reputation and more workers drawn to it. Roofing Day in D.C. 2019. NRCA also is taking a more deliberate, clear-eyed approach to engaging with policymakers in Washington, D.C. Roofing Day in D.C. is an annual event where the entire industry travels to Washington, D.C., to inform Congress of the issues most important to the industry. This includes asking for pragmatic immigration reform so we can be assured the workers we train and employ are working legally. The U.S. demographics demand a solution, and the roofing industry will advocate for one that works for us. Training for Roof Application Careers. NRCA's training curriculum is designed to train and retain workers once they begin their careers. Our members tell us the sooner an inexperienced worker becomes a productive worker, the more likely the worker will stay in the industry. Unfortunately, roofing contractors often spend thousands of dollars trying to recruit workers but don't always facilitate their early success to retain them. TRAC is designed to short circuit that weakness. Qualified Trainers. Along with TRAC, NRCA has developed a Qualified Trainer program to help contractors manage their training efforts to increase efficiency and productivity. We are offering a 2 1/2-day course during which we teach roofing employees how to train others and perhaps oversee a company's training efforts. Just as you employ a safety director, you should consider employing a full-time training director. Training is one of the most valuable tools you can use to improve worker retention. Only the roofing industry can effect these positive changes. If we are hoping a fix will come to the industry absent direct involvement, we delude ourselves. Now is the time to own this problem. Only then can we change our experience. We have to do it because no one else will.